That smushed nose. Those excited grunts. An uncanny resemblance to a baby pig. Is there anything cuter in this world than a French Bulldog? 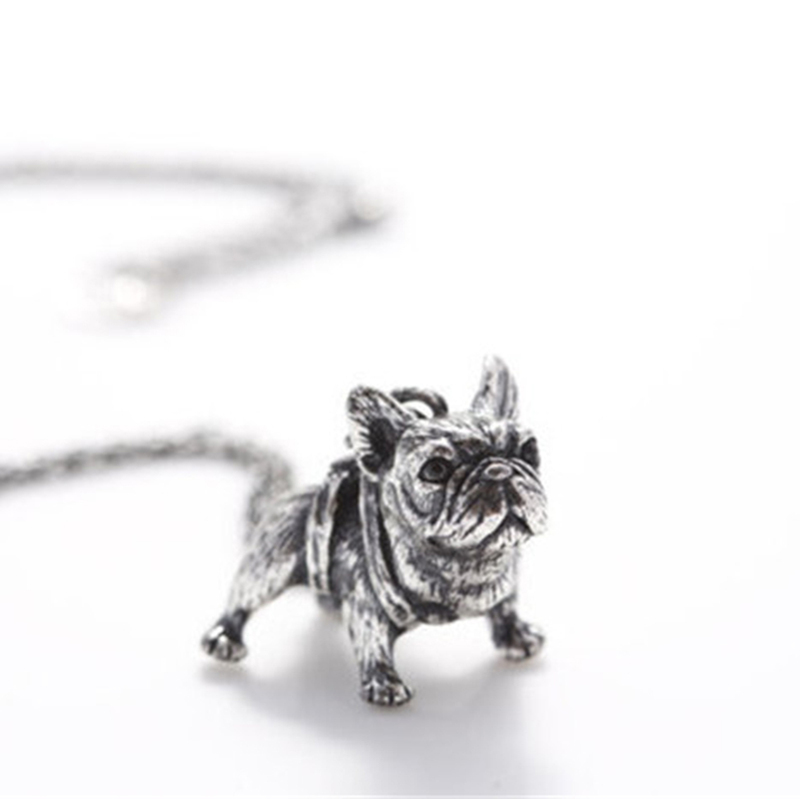 While the pint-sized pups aren't small enough to take everywhere, this adorable necklace is. 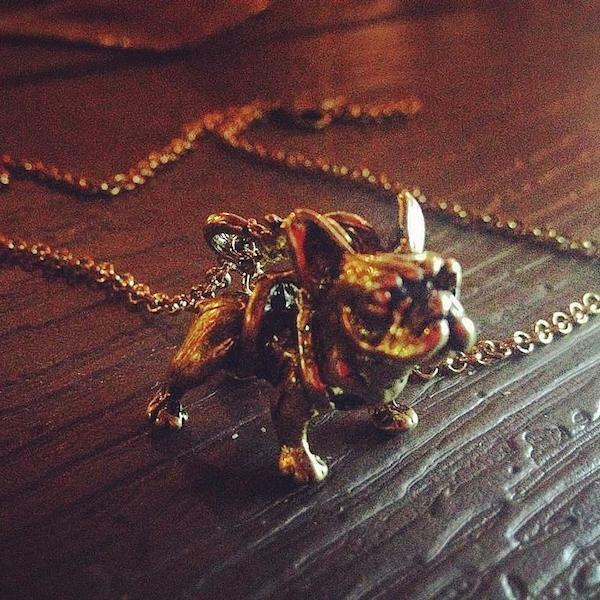 The simple pendant is equal parts whimsical and charming, and lets you wear your doggie devotion proudly each day. 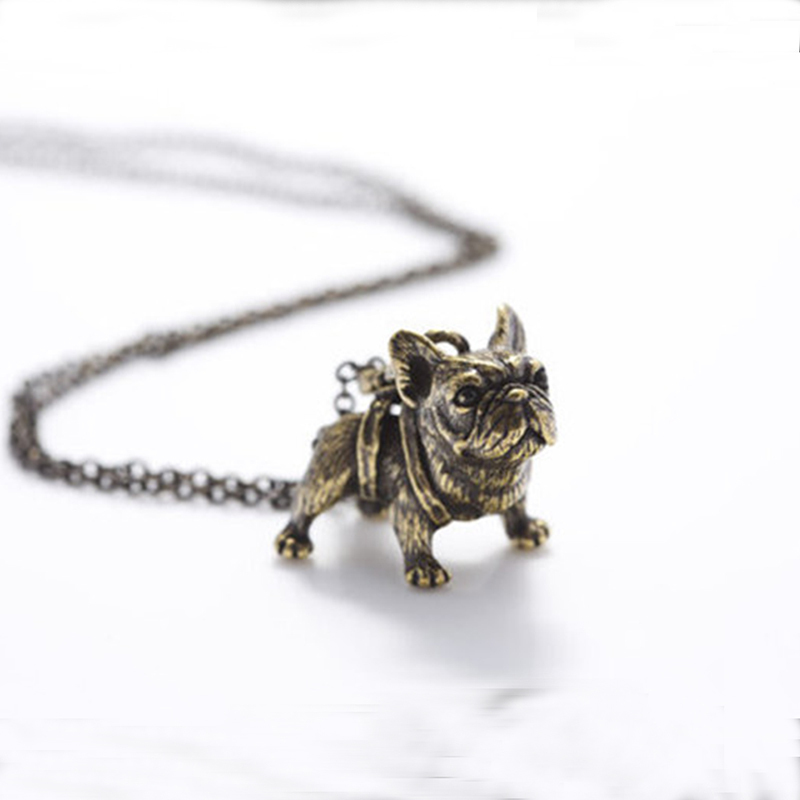 The cute factor is through the woof with this Antique Long Chain French Bulldog Necklace. 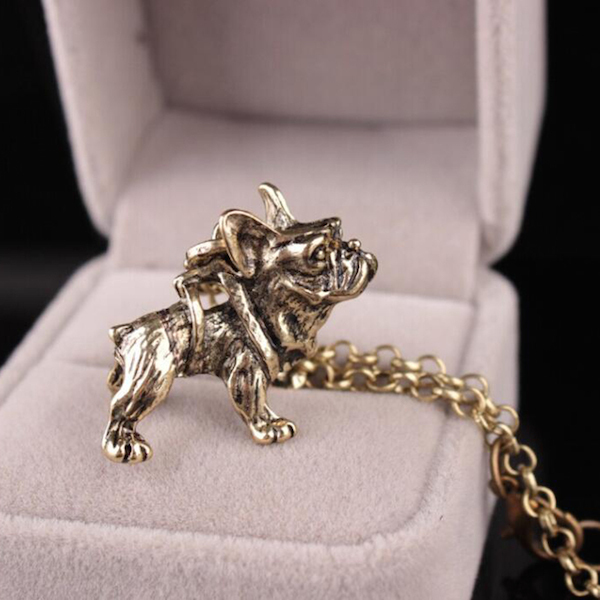 It will showcase your love for Frenchies and make you feel amazing every time you wear it. Get one for yourself and give one as a gift. The chain length is 50 cm and the pendant size is 2.6 cm x 2 cm. Excellent quality. Lightweight and quality construction. The link necklace chain is made of durable, easy to clean zinc alloy and has a strong lobster clasp. Wonderful for Frenchie lovers. 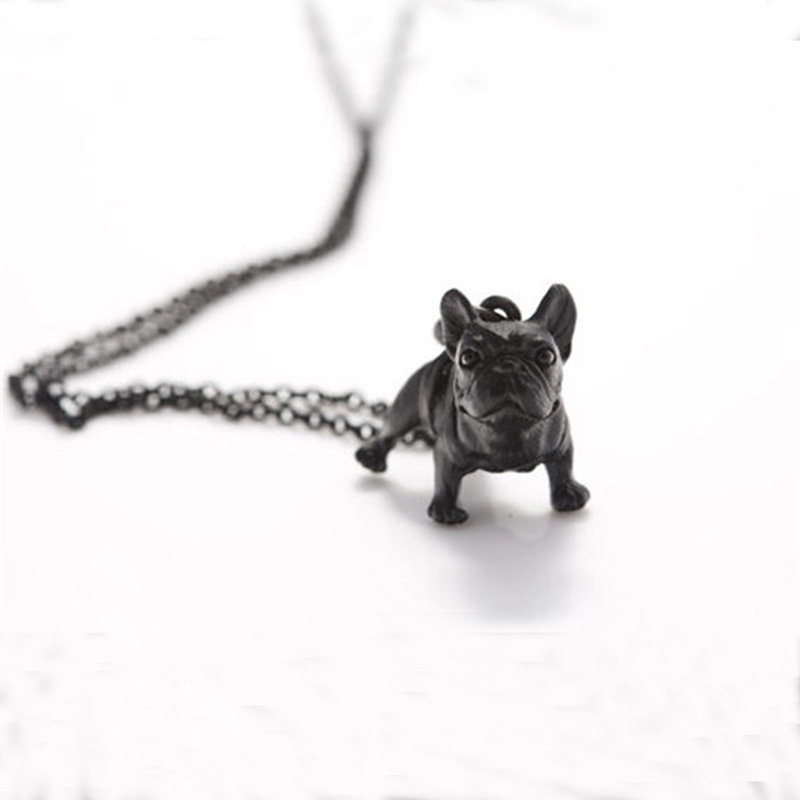 The perfect accessory for the Frenchie lover in your life. 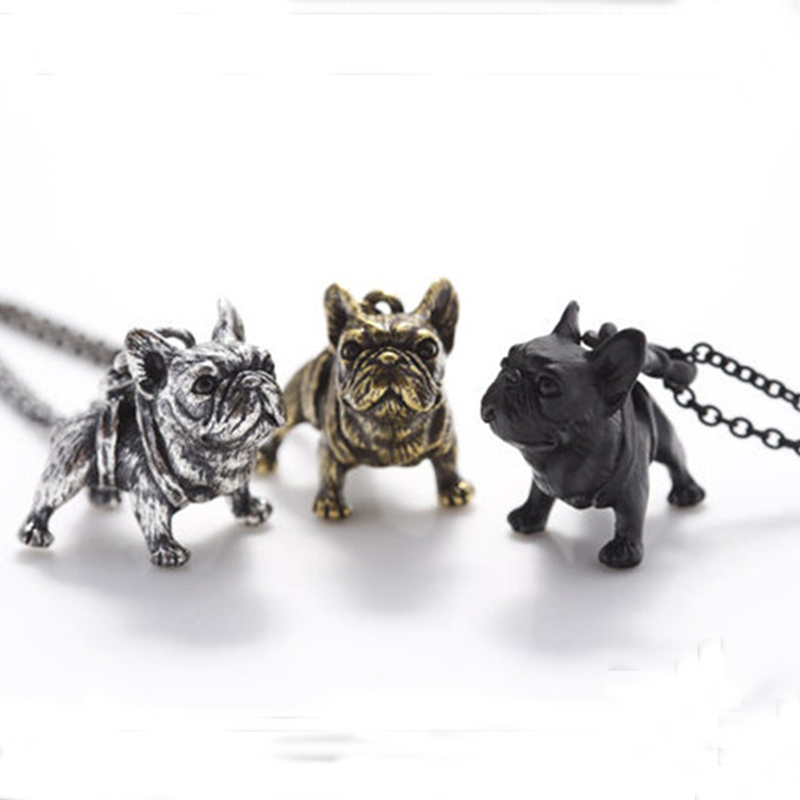 Show off your favorite breed with this charming necklace! Fun addition to any wardrobe. Use as an accent piece or as the inspiration for a puppy friendly ensemble. Add a touch of loyalty to your outfit. Available in 3 chic colors: black, silver, and bronze. Makes a perfect gift. This makes a great gift for anyone who loves animals, cutesy culture, or has a special place for these funny little dogs in their hearts!